Why does the online claim form for Supplemental Security Income disability benefits used internally by Social Security request the date that disability began? You can't get benefits until the month after the month you file the claim. An alleged onset date prior to the date of the claim is meaningless. Yes, I suppose an alleged onset date before a prior denial is an implied request to reopen but the claimant can always make an express request to reopen. I keep getting Administrative Law Judges being concerned about an SSI alleged onset date that goes back several years and I have to keep saying we regard that as of no consequence, that we'll amend to the date of the claim since it makes no difference. But why does the form even request an alleged onset date? The paper form, which is rarely used these days, doesn't request an alleged onset date so why should the computer based form? One of the justifications that the Social Security Administration uses for closing field offices is population shifts. It may be painful but areas that lose population do stand to lose offices. However, now comes word that Social Security is closing its field office in Arlington, VA. Not only is Arlington not losing population, its population went up by 13% between 2010 and 2017. This is a sign of how serious Social Security's appropriations problem is. Forget the happy talk about how their appropriation just went up. That's all earmarked for contractors. Otherwise, the agency didn't get enough to cover inflation. They're still starved for the operating funds needed to keep field offices open. The Social Security Administration's Office of Research, Evaluation, and Statistics is seeking competitive applications for a Retirement and Disability Research Consortium (RDRC). The RDRC is an extramural social science research program on matters related to retirement and disability policy funded by SSA through 5-year cooperative agreements. The announcement is available on Grants.gov and may be accessed directly at https://www.grants.gov/web/grants/view-opportunity.html?oppId=303915. Applications are due June 8, 2018. Currently, there's a Disability Research Consortium composed of Mathematica Policy Research's Center for Studying Disability Policy and the National Bureau of Economic Research's Disability Research Center and a Retirement Research Consortium composed of Boston College, the University of Michigan, and the National Bureau of Economic Research. I don't know if this announcement is a sign that Social Security is planning a consolidation or some other change. In my opinion, it's all a waste of money anyway. I've never seen any of this research affect Social Security policy or practice. I wish academics all the best but I see no point in the Social Security Administration giving them public subsidies at a time when there are lines out the doors at the agency's field offices. I should say that this research is required by the agency's appropriations. The agency has no choice but to fund it. Is PolicyNet available to the public? Of course, not. If you tell the public what the policy is, they're going to complain when the agency doesn't follow its own policy or they might complain that some of the policies are illegal or stupid. Besides, most of PolicyNet is really boring and the public won't be interested in most of it. A small amount of PolicyNet would be things Social Security really does have to keep secret, like how it spots identity theft. It's safer to keep it all confidential. Come on, this is the public's business the agency is doing. Keeping policy secret if you don't have to is wrong. You could say the same things about POMS, the agency's general manual, but somehow the agency has survived just fine with POMS being available to the public. After repeated efforts to get answers, the giant agency's regional communications director declined to comment stating privacy laws. But the director did apologize for the inconvenience to Hall and stated her issue would be addressed. Why was the claimant overpaid? Is it too late to appeal the fact of the overpayment? Does the claimant qualify for waiver of the overpayment? Even if the claimant doesn't qualify for waiver, is there a dependent on the account who was overpaid? Dependents almost always get waiver even if the primary beneficiary is a really bad actor. Social Security is not supposed to be trying to collect on an overpayment until there's a reconsideration determination on the fact of the overpayment and/or waiver of the overpayment, which are two separate matters. Make sure they don't. In the unlikely event the claimant has the money to make a lump sum payment of the overpayment, they'll give the claimant a discount. As much as this overpayment is, they'd probably take less than 50%. In other words, there's a lot an attorney can do in overpayment cases. Unfortunately, few of these claimants can pay a fee and there's no practical way for an attorney to represent a claimant on a contingent fee basis. Also, because attorneys can seldom get a fee from an overpayment case, most attorneys don't know how to handle the cases. By the way, this overpayment goes back quite a few years. It's very possible that this is one of the cases where a claimant reported return to work but Social Security made no record of it. This used to happen a lot until Congress ordered that Social Security create a system for recording reports of return to work. That's right. At one time Social Security lacked any system for recording reports of return to work which led to large numbers of overpayments that weren't the fault of the claimant. The idea of government-sponsored paid family leave is gaining popularity at the state level and in Washington, where Sen. Marco Rubio (R-Fla.) and Ivanka Trump are "strategizing" to bring more Republicans into the fold. Sens. Joni Ernst (R-Iowa) and Mike Lee (R-Utah) are said to be interested. It's a good idea that would finally bring the United States into line with every other high-income nation on Earth, as a recent analysis by the Urban Institute points out. But the Urban Institute also observes that the Rubio-Trump idea for financing the program through Social Security is a terrible idea. It would not only undermine Social Security's fiscal condition, but change the very nature of Social Security in ways that will harm the millions of Americans who depend on it for their retirement. Social Security thinks it's important to point out that there's no representative conduct that they find permissible but plenty they want to forbid because they believe it's inappropriate? That certainly suggests as attitude. (ii) The representative referred or suggested that the claimant seek an examination from, treatment by, or the assistance of the individual providing opinion evidence. Why would these be a problem? As to the withdrawal provision, the agency insists on recognizing only individual lawyers as representing claimants, not law firms. Prohibiting the substitution of one attorney for another after a hearing is scheduled makes it difficult for a law firm to properly allocate its resources and makes it easy for individual attorneys employed by a firm to pick up and leave their firm with the files of their clients after the firm has spent large sums of money on the cases over the many months or years that the firm has represented the claimants. I don't know what the point of this is other than to harass law firms. Let me anticipate the response from a government employee. "Law firms don't spend much money on Social Security cases -- only a few dollars obtaining medical records -- so that's no big deal." Anyone who thinks this has never run a law firm. Law firms spend almost all of their money on salaries and other overhead. The problem is that a law firm may spend thousands of dollars on the office overhead associated with a case only to see an attorney waltz away at the last minute pocketing the entire fee. Is it unreasonable for a law firm to try to make this difficult? What exactly is the problem with a law firm substituting one attorney for another after a hearing is scheduled? It doesn't delay anything. As to the requirement that attorneys notify Social Security if they suggest medical treatment, if I tell my client that he or she ought to get in psychiatric treatment, I'm supposed to disclose this to Social Security if the psychiatrist later offers an opinion? What if I tell my client to get back to the doctor he or she used to see? Am I supposed to carefully track the advice I give clients about medical treatment? In sum, the defenders of the administrative state are not entirely out of the woods. Although some of the justices are sympathetic to the goals that motivate independent appointments, it is not at all clear that five of them will agree that those goals pass muster under the constitutional framework the court’s decisions establish. 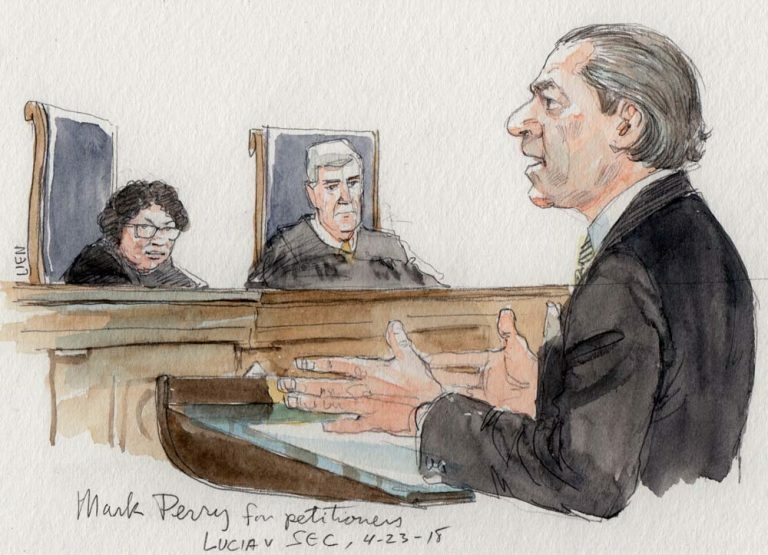 The transcript is now available for the Supreme Court argument in Lucia v. SEC, concerning whether Administrative Law Judges, at least at the Securities and Exchange Commission are constitutional. Update: If I were going to guess based upon reading the transcript, I’d predict a 5-4 decision holding the SEC ALJs constitutional with the following split but that guess is only worth what you're paying for it. I'd guess that if there are swing votes, they will be Kagan and Alito, which is weird to contemplate. One thing that should be a problem for any Justice is that no one had a bright line test. The attorneys arguing the cases said they had bright line tests but none of the Justices seemed impressed with those tests. It was good that four justices were definitely concerned about practicalities although sobering that four others didn't seem concerned. Anyway, read the transcript and tell us what you think. The Prime Minister’s Office (PMO) has given its approval to the labour ministry proposal on universal social security cover for 500 million workers, including those in the farm sector, seeking to start the process of putting in place a more secure welfare net a year before the general election. The finance and labour ministries will work out the details of the scheme that will require nearly Rs 2 lakh crore [2 trillion rupees or $30 billion dollars but doublecheck my math -- a lakh is 100,000 and a crore is 10,000,000 in the Indian numbering system while a rupee is worth $.015] when fully rolled out for the lower 40% of the country’s total workforce. India gets universal health care coverage before the United States? Nicaragua’s government says it is willing to negotiate over controversial social security reforms that have prompted protests and deadly clashes this week. Update: Now more than 25 dead. Presenting Officer In Use In U.K.
... On the merits, the argument that the appointments are invalid is a powerful one, largely because the activities of ALJs are so similar to the activities considered by the Supreme Court in its 1991 decision in Freytag v. Commissioner, which held that “special tax judges” of the Tax Court qualified as officers for purposes of the appointments clause. Like the ALJs involved here, those officers supervised trial-like proceedings, formed an evidentiary record and reached preliminary decisions in the matters before them. If the justices decide to take seriously the opinion and analysis in Freytag, then the challenge here will have a great deal of credibility. Of course, there's no live broadcast of the oral argument. The Supreme Court will release an audio recording of the argument but not until next Friday. However, a written transcript of the oral argument will be released sometime Monday. Insurers told GAO that is was unclear how expanding PDI [Private Disability Insurance] would affect PDI premiums and the impact this would have on enrollment. Employee and disability advocacy groups told GAO they were concerned about whether PDI expansion would provide standard services or employee protections currently available under SSDI, especially with respect to PDI expansion proposals that would replace SSDI for 2 year. One enormous problem is that long term disability insurance (LTD) as we know it is reduced by the amount that Social Security pays. That means that LTD just pays the full rate until a claimant is approved by Social Security and then supplements the Social Security disability benefits thereafter. There's only a handful of LTD recipients who never get approved for Social Security disability benefits and continue to receive the full unreduced LTD payment indefinitely. Making LTD the primary payor would completely change the insurance product and make it much, much more expensive. It's never been clear to me whether the think tank proponents of private disability insurance understand just how different what they're asking for would be from any product that exists now. The LTD carriers might like to get big contracts for helping Social Security administer its disability benefits programs but I've never seen evidence that the LTD carriers actually want to be the insurers. Apparently, that's what GAO heard directly from the insurance companies. A Bridgeview man threatened to blow up a social security office because he wasn't happy with the service he was receiving, reports said. Michael Perelka, 48, was charged with disorderly conduct. According to police, Perelka was talking to a customer service representative at 10718 S. Roberts Road around 2 p.m. Police said he started to yell, "I'll blow this place up." Perelka has a May 31 court date in Bridgeview. The Social Security Administration is approximately six months into what will likely be a five-year effort to modernize the agency’s aging IT infrastructure. Sean Brune, chief program officer for IT modernization at SSA, said many of the planned upgrades revolve around services used by the general public. This fiscal year, Brune said, the agency will focus on improving communications and existing services. These could include filing claims, checking claims status, services for representative payees. Enhancing its public offerings will involve more mobile digital services. Brune said the agency has been building responsive design into all new services to detect when portal users are on mobile devices. Of course, this is not unimportant work. The problem is that it's being done at the expense of service to the public today. Lines are present outside field offices and phone calls aren't being answered while staffing dwindles. Chuck Shumer of New York, the Democratic leader in the Senate, is pushing for better service at Social Security. He's right to do so. Wait times at the agency's field offices and on the agency's 800 number service are awful. However, you might wonder why he wouldn't be satisfied with the fact that the agency just got a boost in its funding. Think about this, though. I'm told that, at least in the field offices, they're only being allowed to hire one employee for two employees who leave. I would appreciate news about what's going on at Social Security's teleservice centers and payment centers. I suspect they're getting much the same treatment. The field offices are getting lots of overtime authorized but overtime only takes you so far. Even with lots of overtime you're going to get less work done as your workforce dwindles. How is it that field office staffs are being cut even though the appropriation has gone up? First, that appropriation didn't go up that much. It came on the heels of several years where appropriations failed to keep up with inflation. Second, Congress directed that the vast majority of the increase in funding go to information technology. This sort of thing goes back at least to former Social Security Commissioner Barnhart during the George W. Bush administration. Republicans in Congress and in the Executive Branch have wanted to make sure that any increase in administrative funding for Social Security goes not to hiring employees but to contractors. I believe that the Republican preference for contractors over employees has several bases. I think that, at best, Republicans in Congress and in the Executive Branch are indifferent to service at Social Security. Consciously or unconsciously they seem to be of the "cut it until it bleeds and then complain about the bloodstains" mentality. Bad service helps undermine public support for what they regard as the original sin of the New Deal. In general, they're hostile to government employees who are perceived as Democrats and partial to contractors who are perceived as Republicans. They're also naive about service at Social Security. They think that field office and 800 number service is unnecessary, that people will just switch to doing their business with Social Security over the internet if we quit babying them. This comes from visualizing Social Security as just processing people onto retirement benefits. They don't get that helping people file retirement claims is only a part of the workload at the field offices. Most of what they do is work on disability, survivor and Supplemental Security Income claims, which are vastly more complicated than retirement claims and many of the claimants they're working with are seriously impaired. There's no practical way to reduce much less eliminate the need for field office service or 800 number service at any foreseeable time in the future. I'd like to find out who made that one for two decision. Was it made at Social Security? At the Office of Management and Budget (my guess)? In the White House? There's fake news being spread about Social Security. Whether it's from Russia or produced here in the United States, it was certainly produced with malicious intent. No, there's no "Article 54" of Obamacare that will reduce Social Security benefits by 30% so the money can be given to undocumented immigrants! Ensure that no beneficiary has a barred payee by codifying the policy that bans individuals with certain criminal convictions from serving as payees (including individuals currently serving as payees) and prohibiting individuals who have payees from serving as a payee for others. Andrew Saul, President Trump's nominee for Commissioner of Social Security, was on the board of trustees of the Manhattan Institute for Policy Research. He's off now but I can't tell when he joined or left that board. Here's an excerpt from a recent op ed by a Senior Fellow at the Manhattan Institute with my comments in brackets. [T]here’s the argument that Social Security and Medicare represent an unbreakable, unamendable promise to the elderly, consequences be damned. Of course, today’s teenagers never signed up for this budget-busting deal. Besides, benefits have been repeatedly expanded far beyond what current retirees were promised while working. It's not fair to blame or credit Mr. Saul for everything written by a person who works for a "think tank" merely because he was at one time on that think tank's board of trustees but this may be the most obviously deceptive, intentionally misleading piece on Social Security financing that I've ever read and I've read a lot. It's ridiculous on its face and it's not the only obnoxious piece produced by the Manhattan Institute. I hope that Saul repudiates this sort of thing. Francisco's defense of broad presidential power is likely to win favor with Chief Justice John G. Roberts Jr. and the court's other conservatives. In 2010, Roberts spoke for a 5-4 majority that struck down a provision in the Sarbanes-Oxley Act, which created an independent public accounting board at the SEC whose members could be fired only for "good cause." Here's Saul's bio from Wikipedia. This must have been prepared by Saul or someone working for him. Is it possible for him to be confirmed now for a term that doesn't begin for nine months? Who Do You Sue And How Much Can The Attorney Get Paid If That Suit Is Successful? One minor issue caused by the absence of a confirmed or even acting Commissioner of Social Security is who do attorneys sue when they sue Social Security after a claimant has been denied. The statute says to sue the Commissioner. Normally, we sue the Commissioner or Acting Commissioner by name. Whether 42 U.S.C. 406(b)(1)(A) establishes that 25% of a claimant’s past-due benefits under Title II of the Social Security Act is the maximum aggregate amount of attorney’s fees that may be charged for representing the claimant in both administrative and court proceedings under Title II [of the Social Security Act]. One nagging issue with the redeterminations of disability for Eric Conn's former clients is the files that Eric Conn kept on his clients. While Conn may not have done that much development of medical records on his clients surely some fell into his lap, brought in by his clients. Did he bother to give any of this to Social Security? There had been reports that Conn had burned many files. 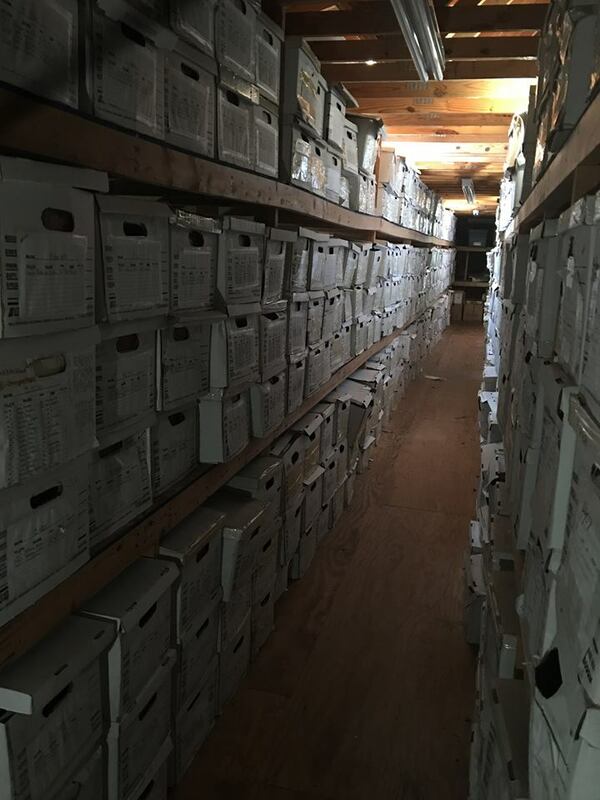 However, recently photos and videos surfaced showing the client files still in his former offices. Sorry for the delayed reply. It is inaccurate to report that the United States is moving forward with the redetermination process while simultaneously denying claimants access to the records needed to appropriately litigate their claims. It is also inaccurate to report that the Justice Department advised individuals that the files were destroyed. The U.S. government has not forfeited Conn’s law office yet. Those proceedings are pending before the Court. Therefore, the Justice Department does not have custody of the law office and have neither the authority to admit or deny anyone from entering the property. Moreover, the contents of the law office, including the claimant files, are not subject to forfeiture, thus, the United States does not and will not possess or have access to the claimant files. However, the Department is assisting in the process of having a receiver appointed by the Kentucky Bar Association, who has constructive possession of the files, to gain actual possession of the files, and return them to clients for their SSA redetermination hearings. By the way, it's long settled law that the files that an attorney keeps on his or her clients don't belong to the attorney but to the clients. It's the same with medical records maintained by physicians. The politicians unsheathing their paring knives for Social Security and Medicare undoubtedly are hoping that Americans' memories are short — that when they claim that it's social programs like these that are driving the deficit, no one will recall that the single biggest driver of red ink is that tax cut delivered to the very members of society who needed help the least. Why Do These Regional Differences Persist? Note that using the average number may understate the problem. Cases that are quickly dismissed because a request for hearing was filed too late go into that average. The typical case that actually goes to hearing will take longer than the stated average. It looks like things are going very nicely in Social Security's Boston Region, which has five of the top ten best offices, while things are going very badly next door in Social Security's New York region, which has six of the top ten worst offices. Why such big differences between regions? I thought that once we had video hearings these differences would go away. Cage Match Looming In Lucia? The National Law Review reports on what it calls a "cage match" possibly looming before the Supreme Court in the Lucia case on the constitutionality of Administrative Law Judges. The National Association of Disability Examiners (NADE), an organization of the personnel who make disability determinations at the initial and reconsideration levels for Social Security, has posted its Spring 2018 newsletter. Workers comp insurers are trying to dispute the widely held belief that they've been increasingly successful in shifting the costs of workplace injuries on to Social Security and Medicare. I'm not buying it. It's obvious at ground level that they're able to settle cases for vastly less than the true costs of lost wages and future medical care. The controversy over the closing of a Social Security field office in Milwaukee isn't going away. Why Does Social Security Need To Capture Biometric Data? The Social Security Administration (SSA) is seeking a commercial off-the-shelf (COTS) eyetracker software tool that will allow SSA to measure and collect users' eye position and eye movements to expand on the dynamic of our usability and user testing studies. The eye tracking system will increase our capability to capture biometric data that we are currently lacking and allow us to incorporate the biometric layer into our results analysis. In addition to the usability testing, eye tracking system can also be used in market research. I'm not the only one who finds this kind of creepy. The Chairman of the House Ways and Means Committee as well as the Chairmen of that Committee's Social Security and Human Resources Subcommittees have written President Trump to urge that he nominate a new Social Security Commissioner. I think it will be difficult to find anyone other than a career employee willing to be nominated now. The term of office ends in mid-January 2019. By the time anyone could be confirmed, their term would almost be at an end. Confirmation to a new term thereafter might be difficult, especially if Democrats gain control of the Senate. That's unlikely but not out of the question. There's also the problem that Social Security is wildly unpopular with prominent Republicans. It may be difficult to find someone interested in the job who wouldn't be insistent on attacking the benefits programs he or she is supposed to be administering. However, almost no Senate Republicans would want such an unpopular crusade. Finally, there's the general problem that few people want to work in Donald Trump's Administration. It's an incoherent mess very possibly based upon near traitorous conduct, not to mention that Trump treats people dreadfully. I'd suggest a recess appointment of a caretaker Commissioner. That can be done quickly without confirmation. It's good until the beginning of the next Congress. Of course, doing that would require that Trump have some interest in governing instead of just dispatching absurd tweets in response to Fox and Friends. And You're Calling Her Confused? It's certainly appropriate to report Social Security fraud but there are a few problems with this answer. First, it's not fraud to receive U.S. Social Security benefits while living in another country. In fact, there's about half a million people living outside U.S. borders who receive U.S. Social Security benefits and, no, you don't have to be a U.S. citizen to do so. Second, the writer should have told this woman that child support can be withheld from Social Security benefits. Third, the ex-husband getting benefits on the account doesn't reduce the benefits going to this woman. Whatever he gets is on top of what she gets, not subtracted from it. If she's smart, she can use him getting benefits on her account to collect the child support she's owed but not unless she gets better advice than this. All of the amicus briefs, 23 of them, have been filed in Lucia v. S.E.C., the case pending before the Supreme Court on the question of whether Administrative Law Judges (ALJs), as presently appointed, are constitutional, at least at the S.E.C. Many readers will be interested in the amicus brief filed by the National Organization of Social Security Claimants Representatives (NOSSCR). It argues that if the Supreme Court is going to find S.E.C. ALJs unconstitutional, it should distinguish Social Security ALJs on the grounds that the cases they hear are non-adversarial. That's the argument NOSSCR pretty much has to make. The Court’s holding and approach in this case have major implications for the adjudicative structure of the federal government. If the Court were to apply the Tenth Circuit test [that found ALJs to be unconstitutional] to the five SEC ALJs as the basis for a holding that they are inferior officers, federal courts would be required to apply the same test to the 1,926 ALJs who perform analogous functions at other agencies. And it would almost certainly trigger similar challenges to decisions made by the thousands of non-ALJ adjudicators (often referred to as administrative judges or AJs) who perform analogous functions at other agencies. Together, ALJs and AJs preside at hearings in millions of adjudications each year. The claims that SEC ALJs are biased in favor of the agency echo the widespread claims of bias that provided the impetus for Congress’s decision to enact the APA [Administrative Procedure Act, which led to the creation of the ALJ position]. That statute reduced significantly the potential for ALJ bias in the process of presiding over agency adjudications. Ironically, the claims of bias spawned by the SEC’s decision to bring some enforcement actions before ALJs, rather than federal district judges, have been coupled with the argument that SEC ALJs should be appointed by the agencies where they preside and should be removable at will by the agencies where they preside. Social Security’s National Disability Forum is April 18 at 1100 New York Avenue in Washington D.C. The Disability Forum gives all interested stakeholders an opportunity to share their unique insights on topics of particular interest to Social Security. This allows an exchange of ideas early in the process and directly with policy makers. With the theme of Financial Independence: Directing the Management of One’s Social Security Benefits, the forum will serve as a listening session that brings public awareness to disability and retirement policy stakeholders. Through this dialogue, we will gain insight into how our representative payee policy affects the disability and retirement communities we currently serve and the potential affect it may have in the future. You and your clients can learn more at www.socialsecurity.gov/thirdparty/whatsnew.html. CNBC will be airing an episode of its series American Greed dealing with the weird case of Eric Conn tonight at 10:00 pm Eastern and Pacific. I've heard a rumor that someone is working on a separate documentary film on Conn.